As you’re probably well aware, Samsung has kept the Galaxy name for quite some time. With the launch of the Galaxy S handsets across all three major carriers in the US, as well as worldwide, it because almost synonymous with the Samsung brand. The company the pushed into the tablet market with the first Galaxy Tab. 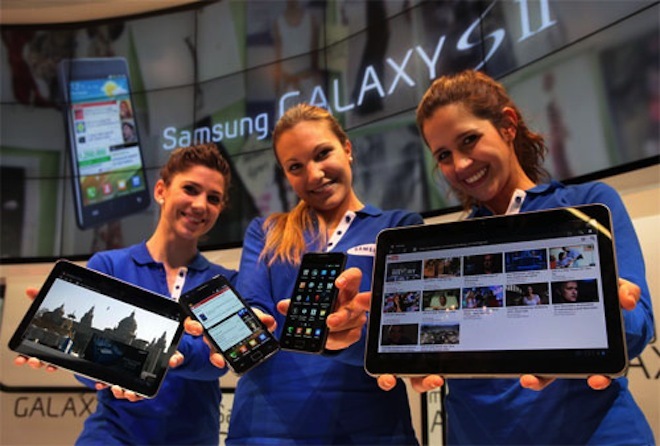 The months that have followed have seen Samsung launch new Galaxy tablets, as well as the Galaxy S II smartphones. To move into the Galaxy Sleek name wouldn’t be a stretch. Although Samsung has made no official announcement about the name, the real question is whether or not Woz would get a Sleek early, as well.